The world of virtual reality is constantly changing and evolving, with all of the major players looking to innovate on the hardware to become the number one platform. 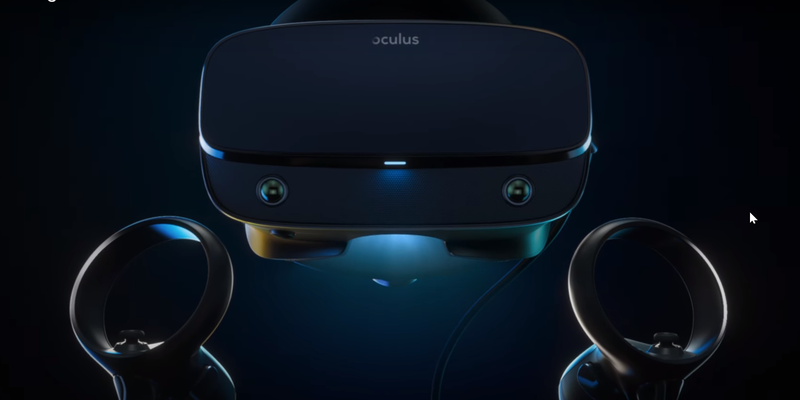 Oculus is making another big move, this time in the PC-based virtual reality space with the introduction of the Oculus Rift S.
Facebook-owned Oculus was clear that this isn’t the Oculus Rift 2, hence the use of S in the name. Instead, the company says that this isn’t a sequel to the Rift, but rather, it’s a replacement. The company also pointed out that the Rift and Rift S share the same core platform, which means current Rift owners will be able to take advantage of updates and new games. The main feature that separates the Rift S from the previous version is the built-in inside-out tracking. The company calls the technology Oculus Insight. Instead of needing external sensors to detect the movement of the headset, the Rift S features five cameras on the device itself that keeps track of movement. Oculus says the headset should feature room-scale movement in any lit indoor space. Another exciting change coming to the Rift S is the resolution. Each eye is bumped to 1,280 × 1,440 (2,560 × 1,440 total). Since this is the VR headset designed for high-end gaming experiences, any bump in resolution can be a big deal. Oculus says that it partnered with Lenovo to design the new Rift, and the two companies designed the S to feature increased comfort, better weight distribution, and improved light blocking. It also gets a single cable tether, making it a less cluttered experience. Like the Oculus Quest and Oculus Go, the Rift S features built-in audio and a headphone jack. The last tweak is called PassThrough+, which gives the headset a true stereo-correct passthrough feature. If you need to see outside of the headset into the real world, this feature will come in handy. Oculus’ new headset will be available in the Spring of 2019. It comes with a price tag of $ 399. The current model of the Rift sells for $ 349, so in spite of the huge improvements, the price hasn’t gone up dramatically. Of course, because this is the PC-based platform, you’ll also need a powerful gaming PC that can handle virtual reality.